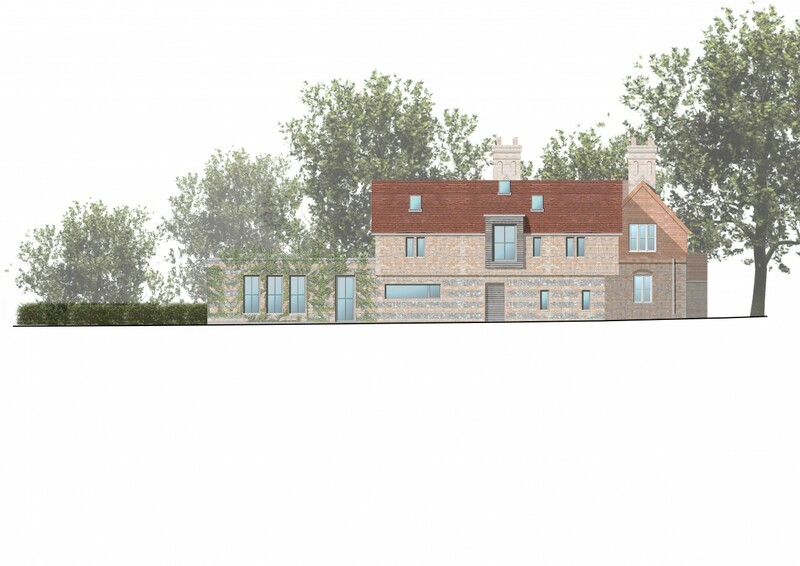 BWA has successfully obtained planning permission for an extension to a cottage set in an Area of Outstanding Natural Beauty. The new extension forms, with the existing volume, a south-facing L-shape sheltered terrace, creating a calm and sympathetic backdrop to the original cottage, and providing on ground floor a generous new kitchen/living/dining room overlooking the countryside, with a substantial new master bedroom suite on the first floor. Although more modern in its expression, the language of the new extension is strongly influenced by the local vernacular.